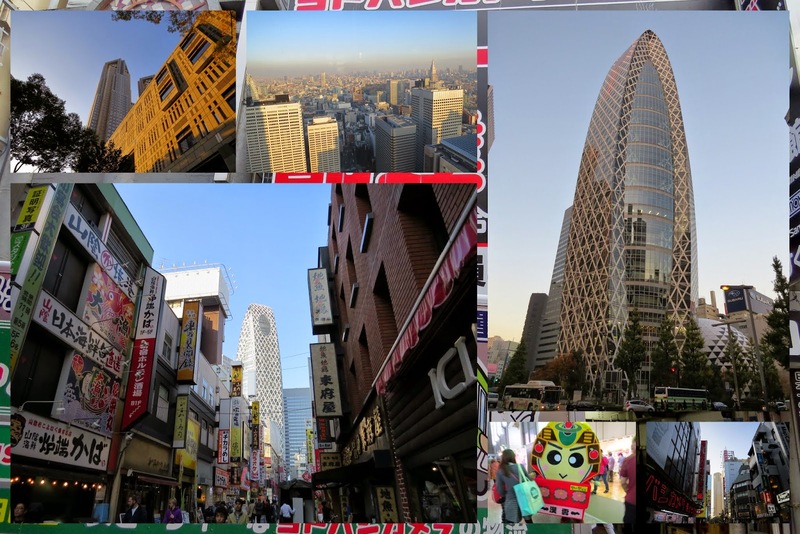 What are the different areas of Tokyo city like? 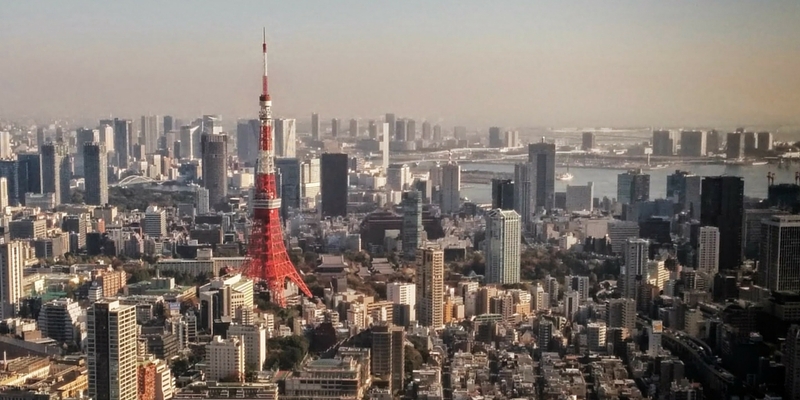 We aimed to find out when we visited Japan in November 2014 as we set out to explore 10 Tokyo neighborhoods. Read on to learn more about Tokyo’s districts and the unique quirks and vibe you’ll find in each. 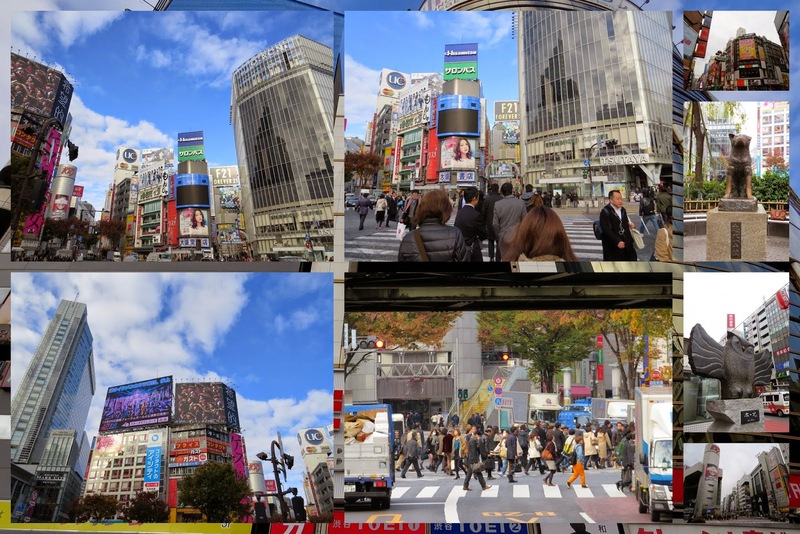 We stayed in Shibuya which is known for its famous crossing. The intersection just outside the train station floods with people every couple of minutes all surging in six directions to get to their destination. High rise buildings and flashing signs greeted us as we exited the train station. This Tokyo neighborhood is centrally located for exploring Japan's capital city and we enjoyed our stay at the Shibuya Tokyu Inn. The room was small (no surprise) but quiet and the staff were extremely friendly greeting us with ohayo goziamasu! when we came down in the morning and konbanwa! upon our return each evening. Shibuya is also good for department store (depāto) shopping and cheap eats. 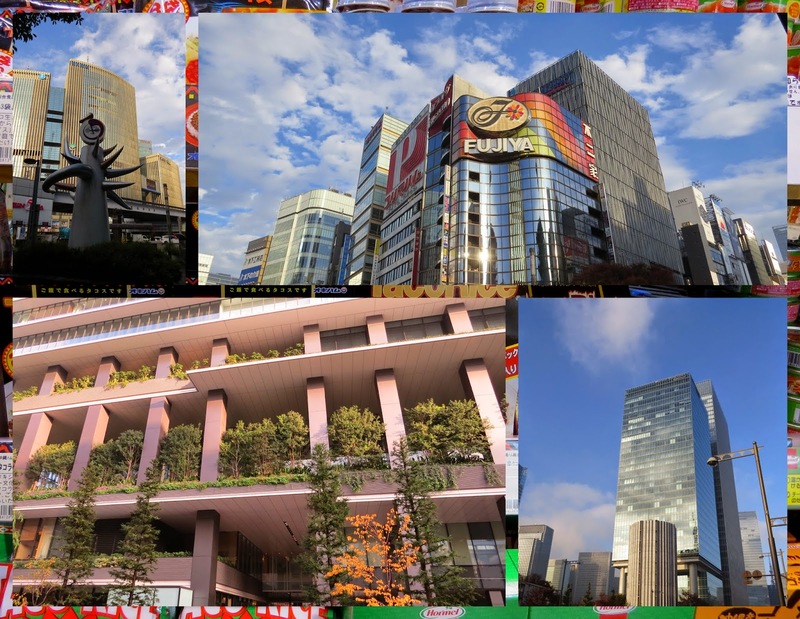 Known for being a bit upscale and posh, the Roppongi Hills area of Tokyo city is home to a number of multinational companies. Many, including my own company, have offices in the iconic skyscraper, Mori Tower, that dominates the skyline in this part of town. Even though we were on vacation, we popped into the office to visit an old friend who I worked with in Dublin. We emerged from the train station onto a grassy oasis lined with a park. I jumped when I rounded a bend and was confronted by a giant spider...a sculpture of a giant spider. We also took the elevator to the top of Mori Tower. There is a helipad and viewing platform that you can reach for a rather steep fee (2000 yen per person = $17 at the time of writing). Hey, you only live once, so we paid the fee and had a look around. We also enjoyed the manga and other art exhibits around the tower. There was one where you could go into a room with a green screen and then draw virtual graffiti on a board in time to music. The result was pushed to Facebook. 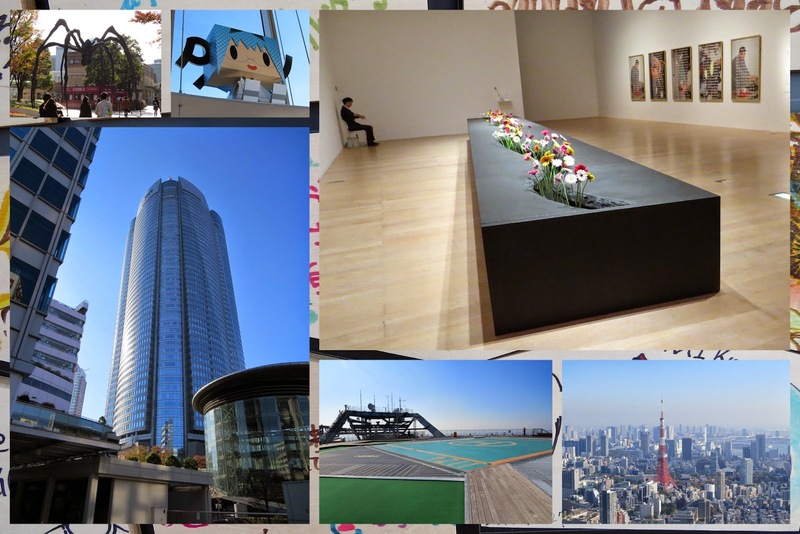 We also checked out the art museum at the top of Mori Tower. There was an interactive exhibit on entitled Lee Mingwei and His Relations: The Art of Participation - Seeing, Conversing, Gift-Giving, Writing, Dining and Getting Connected to the World. My favorite part was the bed of flowers set out on a table. You could select one and take it with you but only if you promised to (a) leave a different way from whence you came (b) give it to a stranger on the street. After a couple failed attempts, I gave mine to a little old Japanese lady on the street in Roppongi Hills. She smiled and tucked it into her bag. She didn't speak English and I don't speak Japanese but I made myself understood and she made herself understood in return. 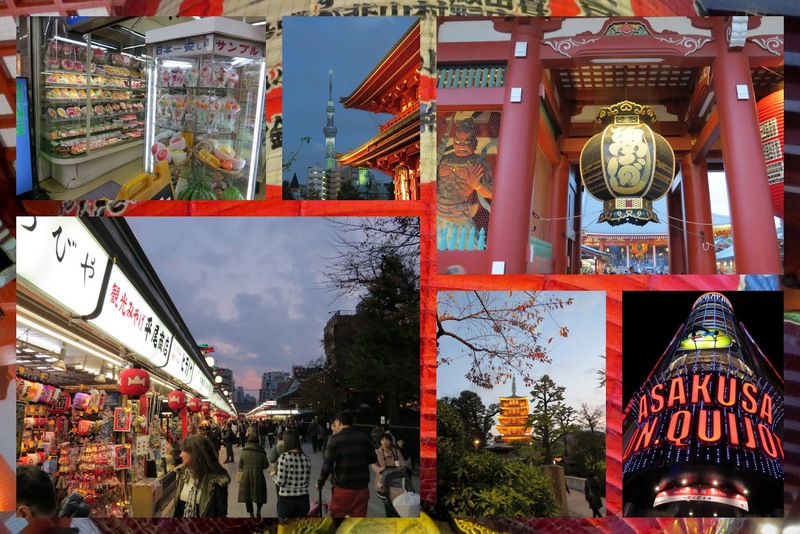 Asakusa is a Tokyo district characterized by contrasts. A lot of Japanese restaurants have displays of perfect looking 'food' in their windows to describe and tempt you without words with what's on offer. Well, that 'food' has to be bought somewhere! Walking over from the train station, we marveled at the array of plastic food shops lining the street. It was also quite expensive with a small piece of plastic sushi going for the equivalent of about 8 USD. 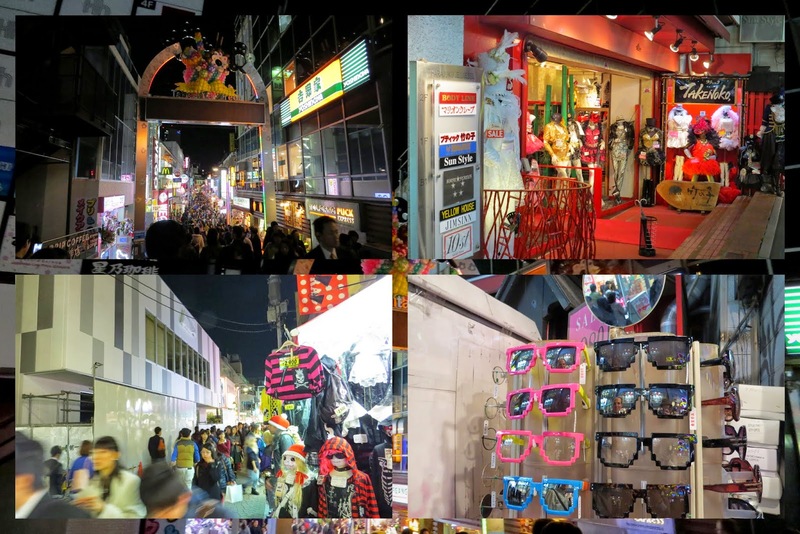 Further into Asakusa there is a strip of establishments shouting out in bright flashing neon. We stopped at Don Quijote, an inexpensive department store/supermarket to look for interesting local souvenirs. We also stopped into our first pachinko parlour which was one of the loudest, most over-stimulating places I've ever been to. More on that in a future post. Interestingly, just a few blocks away in Tokyo's Asakusa neighborhood is an oasis of calm in Sensō-ji temple. We took some time to wander the grounds, waft some incense over ourselves for luck and explore the shop stalls set up just outside the temple walls. Tsukiji is an area of Tokyo famous for its fish market; the largest in the world. We were out late playing pachinko the previous night so decided not to get up and go for the 4 am tuna auction. Instead, we arrived around 9 am which is when the 'floor' of the Tsukiji fish market opens up to visitors. We strolled aisle after aisle of fish, dodging lorries and fish guts as we went. 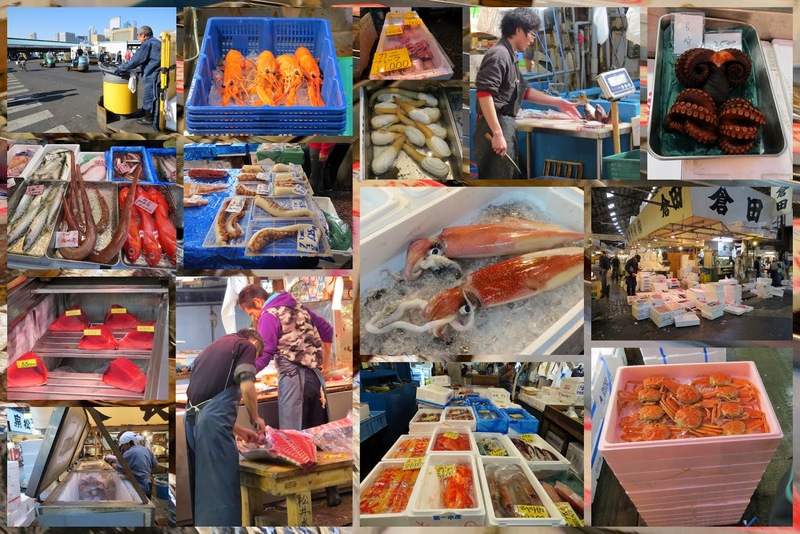 Tsukiji is a fascinating Tokyo district to visit. There are plans to relocate the market from its current location to Toyosu. In fact, the move was supposed to be complete by the time we visited but lucky for us, we got to see the fish market in its original spot. In the 'outer market', you can wander a warren of alleyways lined with retail shops and food stalls selling sushi and more. Tsukiji is a part of town that's definitely worth a look. By day, Tokyo's Shinjuku neighborhood is all business. The Tokyo Metropolitan Government Building features two viewing platforms, one in each of the twin towers which can be accessed for free. At night. Shinjuku is an area of Tokyo city that fits the frenetic and crazy stereotype that many people associate with Japanese cities. The flashing neon lights are so bright in Shinjuku that they are almost blinding. Risque performances (the level varies) run up and down the street. 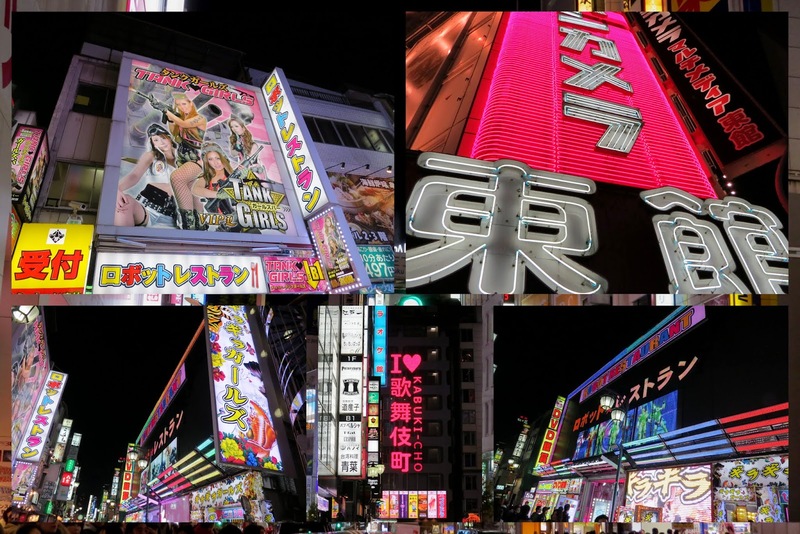 This is where you'll also find the world famous 'Robot Restaurant'; an over-the-top show featuring scantily clad girls riding larger-than-life fighting robots with loud music blaring in the background. We were intrigued by this video we found on YouTube before the trip but were torn about going given the high price tag (was it really worth 50 bucks a person?). In the end, the choice was made for us because the show was sold out on the night we were in town. Home to Japanese 'Cosplay', Harajuku is a Tokyo district where you can go to see locals decked out in fantastical costumes. It was late and raining when we visited so we didn't see anything too wild but the shops give tantalizing suggestions of what we might find on a good day. Apparently, the Cosplayers shop for their outfits here too. Akihabara is the Tokyo neighborhood most known for electronics. We were expecting huge department stores selling all manner of gadgets. To be honest, there is more of that in other neighborhoods like Ginza. 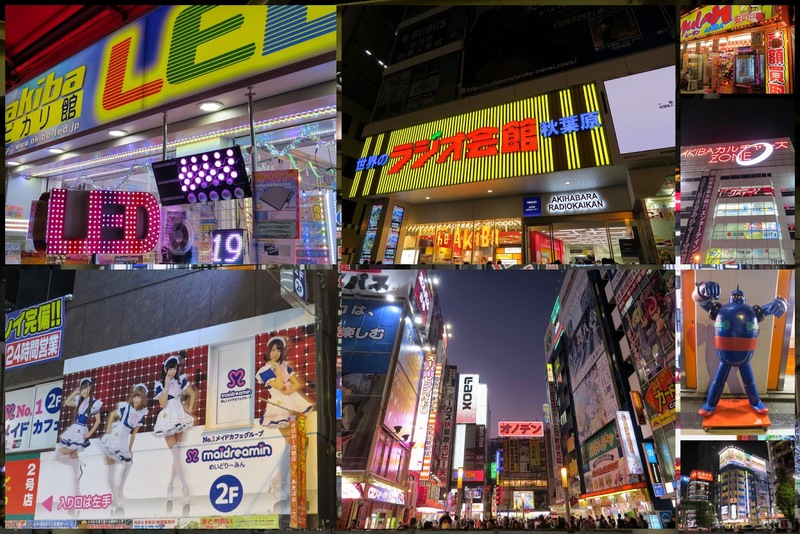 Akihabara has almost limitless small shops selling everything from random cables to LEDs. This area of Tokyo city also seems to be maid-cafe-central. On nearly every corner, girls in fantastical French maid outfits try to entice passersby in for a show that seems a bit like a cheerleader's convention from this glimpse I got through the window (see video clip below). Ginza is a Tokyo neighborhood known for shiny high rises and posh shopping. It's also adjacent to Tokyo Station and ideal when heading to Narita airport which is why we decided to stay here on the last night of our trip. After suffering through an afternoon of rain, the sun emerged and put things in a whole new light. We even discovered an Okinawan grocery store in Ginza as we whiled away the time on our last day in town. One thing that surprised us about Tokyo was the fact that there are so many respites of calm in this otherwise crazy city. 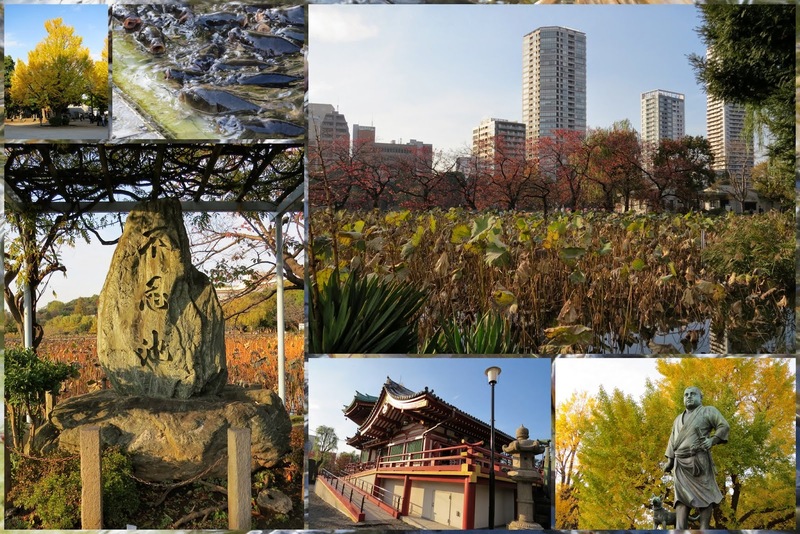 We had a great time exploring the park at Ueno. Here we found a temple where visitors were feeding frenzied carp. I also loved the marshy wetlands with skyscrapers beyond. It was possible to take a quiet moment and reflect on the vibrant, humming city in the distance. 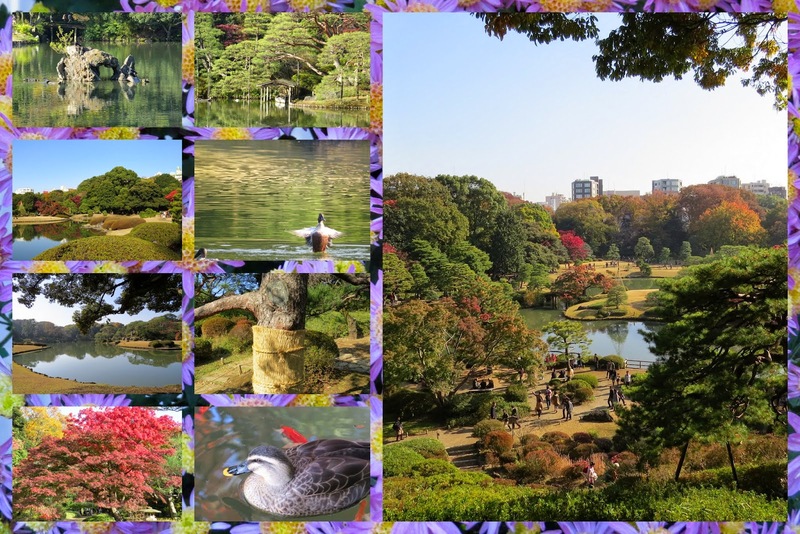 Rikugien Park is another area of Tokyo city that seems like an oasis of calm. It's also known as an amazing place to see Autumn foliage. We got to Rikugien Park just a bit too early and didn't see the peak colors. Still, we really enjoyed strolling along the lake watching the ducks luxuriate in the water. We love variety when we travel which I think is one of the reasons we liked Tokyo's neighborhoods so much. It was simply a matter of hopping on the subway and entering a whole different world each day. I hope you enjoyed these vignettes about ten Tokyo districts that we explored in the Japanese capital city. To read more about our trip to Tokyo, check out What to See in Tokyo: My Top 10 Memories. Japan is also known for certain stereotypes. Find out which stereotypes are true and which are misguided here. 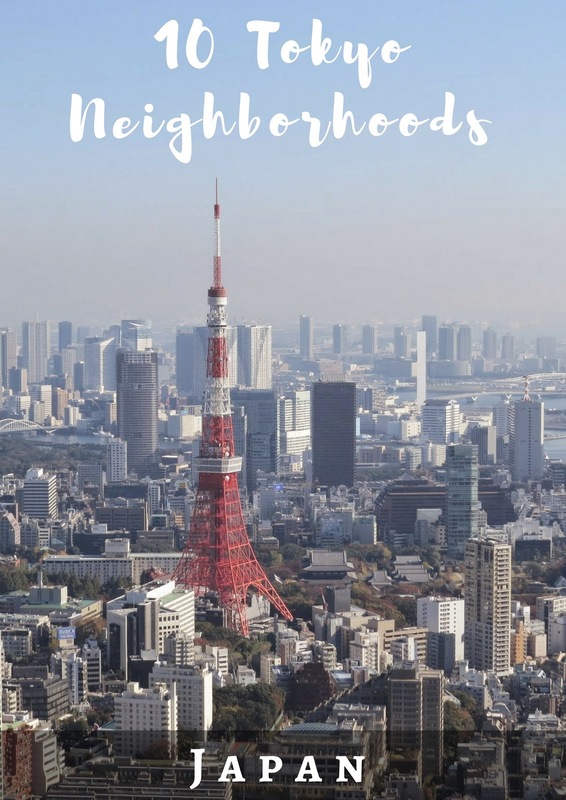 Check out this handy Tokyo neighborhoods map to orient yourself to the different areas of Tokyo city before and during your own trip. If we were to go back again, are there other Tokyo neighborhoods you'd recommend visiting? 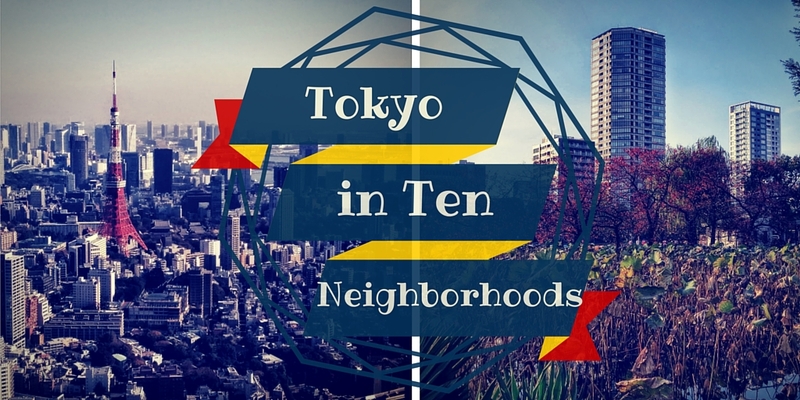 Visit 10 Tokyo neighborhoods and discover special areas of Tokyo city that are must see for tourists.